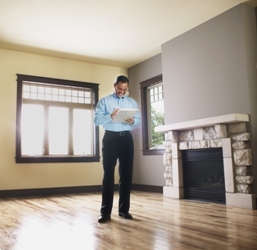 Starkey Mortgage (WR Starkey Mortgage, LLP NMLSR# 2146) has a few helpful tips on what builders can do to assist appraisers with the appraisal process. Staging and Curb Appeal – First impressions matter in every industry, and new homes set the standard. Prepare for an appraiser with the same attention to detail that you would for prospective buyers: clean, clutter-free spaces and outstanding curb appeal. Share Information with the Appraiser – Builders should be eager to share all pertinent, objective information with the appraiser including plans and specifications for the property, details and warranties on chosen materials and any comparable, recent sales information. While builders cannot discuss the cost or value of a home, they can provide factual information and documentation. Be Available During Inspection – Have knowledgeable staff available to answer any appraisers’ questions or requests. However, it is important to remember that the appraisal process is an independent valuation of the property, and any discussion or influence of the value outcome of the report is strictly prohibited. Document your Communications – Keep detailed records of the communication you have with the appraiser, as well as the information you supply them. Starkey Mortgage provides in-house processing and underwriting and prides itself on timely closings and competitive rates. Starkey exercises controlled growth and works closely with home buyers and new home builders to give them an assured experience. For more information on financing your home or for additional tips on preparing for your appraisal, please contact North Carolina’s Senior Vice President and Regional Manager, Debra Watt (NMLSR #346277, NC License #I-149994) at dwatt@starkeymtg.com or call 704-246-0132. For more information on Starkey Mortgage’s Builder Services, East Region, please contact Amy Slack at aslack@starkeymtg.com, call 404.406.7841 or visit www.starkeybuilderservices.com. Equal Housing Lender. WR Starkey Mortgage, LLP NMLSR# 2146, 10800 Sikes Place, Suite 110, Charlotte, NC 28277, Branch Phone: 704.849.2125, Branch NMLSR#93518, Branch License #L-112550-102, SC License #MLB-93518. This entry was posted in New Home News, North Carolina, South Carolina and tagged mortgage insurance, Starkey Builder Services, Starkey Mortgage Company on December 20, 2013 by Starkey Mortgage.